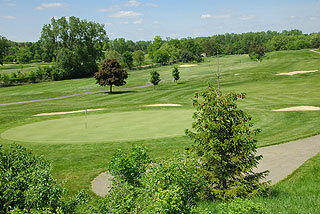 Leslie Park has been honored as best municipal course in the state for 2009 and 2010 by Golf Digest Magazine. 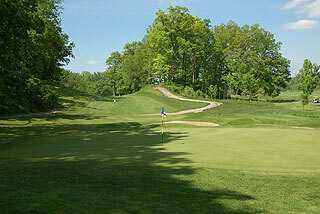 Leslie Park has long been a favorite of locals and visitors to the Ann Arbor area, and is an original Edward Lawrence Packard design (1967) with renovations and the back nine reworked in 1995 by Arthur Hills. This is an extremely beautiful and challenging golf experience - as elevation changes abound and the green complexes are some of the trickiest in the state. An opening tip - keep it below the hole or you may be using your putter more than you desire. The slopes do not appear to be severe, but are usually leaning form back to front - more so than appears. The 4-1/2 star rating from Golf Digest Places to Play is well deserved. The terrain itself is worthy of recognition...but this property is well maintained by the Ann Arbor Department of Parks and recreation; golf is reasonably priced ( $42 prime time including cart in 2009) and walking is allowed at all times - if you can handle the workout on this extremely hilly topography. There is some fairly level terrain on the initial holes on each side, but the middle holes present hills and undulations. 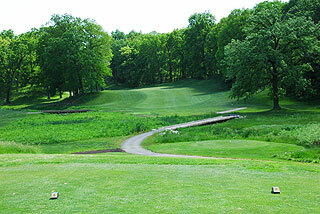 Michigan Golf Magazine has honored Leslie Park as 16th Best Public Course and Top 10 Municipal course in the state! Any course with an Arthur Hills touch is worth a look - and Leslie Park is no exception. The par 72 layout features four sets of tees playing to distances and slopes measuring 6591 yards/127 slope, 6591 yards 129 slope, 5805 yards/121 slope and 4985 yards with a slope rating of 115 for men and 126 for women. Color coded flags indicate front/middle/back hole locations.. On course are yardage markers measured to the center of the green at 100, 150 200 plus 250 yards on par fives. A day at Leslie Park is well spent. 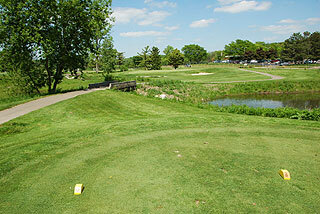 Many locals consider this to be the Ann Arbor area's best golf experience. Great views, nice conditions, wonderful staff - and challenge! 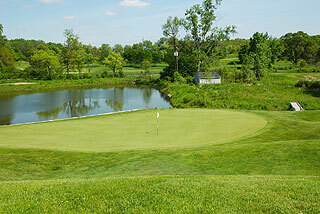 The par threes are a good group, with formidable water hazards in the mix on holes 12 and 17. Bunkering greenside and along the fairways is understated but effective, and a creek crosses through the fairway on 10, 11 and 13, creating some interesting shot opportunities. 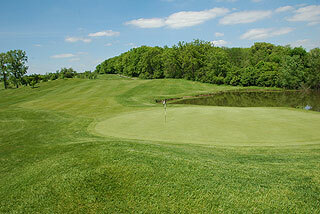 There is no pampering here - be prepared to golf, and to hit your best shots. The top slope and course ratings from the tips seems a bit underrated in my opinion...this can be a difficult round for first time visitors. 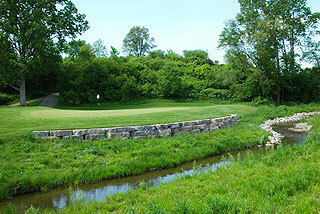 Once you know the greens - and we think you will want to come back - Leslie Park is infinitely more score-able. On property is a practice green and the clubhouse features a small pro shop snack bar with alcohol, beverages plus hot and cold sandwiches and snacks. 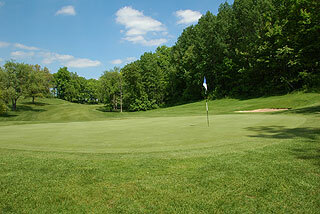 Overall Leslie Park is a very good golf value - and we highly recommended it! For more info - visit our page for the course with direct link to their website by clicking here.